Professor Borthwick's research interests include environmental fluid mechanics, flood risk management, coastal processes, offshore engineering, and marine renewable energy. Alistair was Head of Civil & Environmental Engineering at University College Cork from 2011-13, where he was the Founding Director of the SFI Centre for Marine Renewable Energy Ireland. 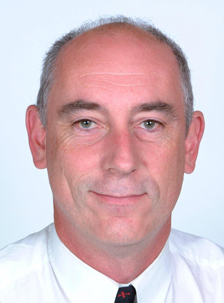 Alistair Borthwick is Professor of Applied Hydrodynamics at The University of Edinburgh, an Emeritus Fellow at St Edmund Hall, Oxford, and holds Adjunct Professorships at Peking University and NUI Galway. Alistair was the founding Chairman of the Editorial Board of the ICE Journal of Engineering and Computational Mechanics. Since 1998, he has collaborated with Peking University on all material fluxes in large rivers, and water and wastewater treatment technologies. Alistair Borthwick has almost 40 years' engineering experience. He helped design the Hutton Tension Leg Platform, which won the Queen's Award for Technological Achievement in 1984. He was previously Professor of Engineering Science at the University of Oxford, where he worked for 21 years from 1990-2011.